Easter is one of the most important religious events in the Catholic Calendar. 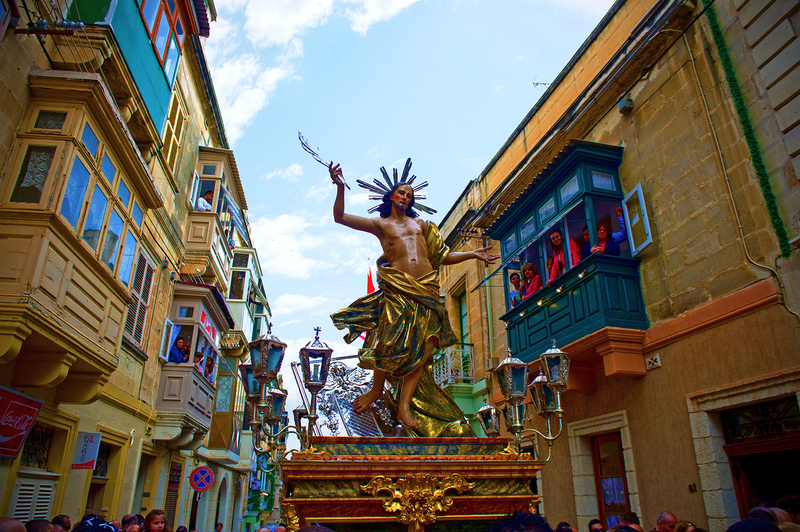 In Malta, Easter is also a big celebration and one of the most colourful times to be around the island. It’s a time of processions, pageants, bell ringing and band marches. It’s time for local traditions, laughter, food consumed only during Easter, and it’s time for lavishly decorated churches ready to immerse in Easter rituals. What’s happening over Easter in Malta? The combination of good food, local traditions and beautiful sunny weather, makes Easter time in Malta enjoyable for both the locals and tourists. This year, Holy (Easter) Week in Malta is from April 9 to April 16, 2017, and it is packed with religious celebrations and cultural activities. Whether you are religious or not, Easter in Malta is a beautiful sight to see. Those not so religious people are always welcome to just watch the exciting Maltese Easter traditions, or, enjoy the beautiful places this tiny island has to offer during this time of the year. Malta officially celebrates Easter beginning on Palm Sunday, the Sunday before Easter Sunday. However, events begin already on the Friday before Good Friday. On the Friday preceding Good Friday, the statue of Our Lady of Sorrows is carried in a procession (image below, procession in Valletta 2010) through the streets of many towns around the island, which is the unofficial opening of the Holy Week celebrations. The following religious festivals take place withng Holy Week: Maundy Thursday, Good Friday and Easter Sunday. On Palm Sunday, Parish churches bless palm leaves and olive branches. Good Friday is a day of mourning, and no church bells are rung. Religious processions will take place around the Maltese islands, where a procession of statues is lead through the church out around the parish and back to the church. Places to visit are: Żebbuġ (Malta) is famous for its extravagance and use of horses, Xaghra in (Gozo) is home to the most prominent procession. On Holy Saturday, late at night, at around 11 pm, people begin to gather at the church to take part in the Easter Vigil. Easter Sunday brings a genuinely happy atmosphere throughout the island. The ringing of the church bells starts first thing in the morning and announce the Risen Christ. Mid-morning, a procession is held, where statues of Christ are carried. 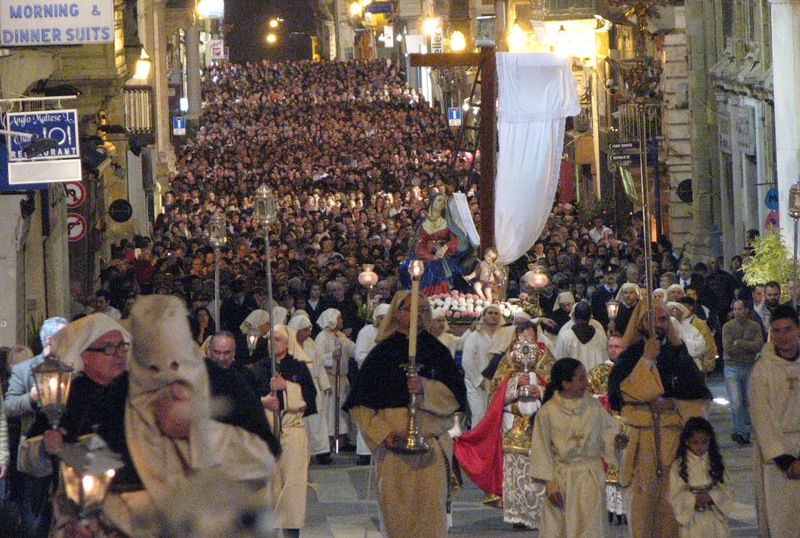 Not to be missed the grand Easter church parades on Good Friday in Qormi and Easter Sunday in Vittoriosa and in Birgu. Feeling Easter lazy? Work on your tan and take a boat ride. 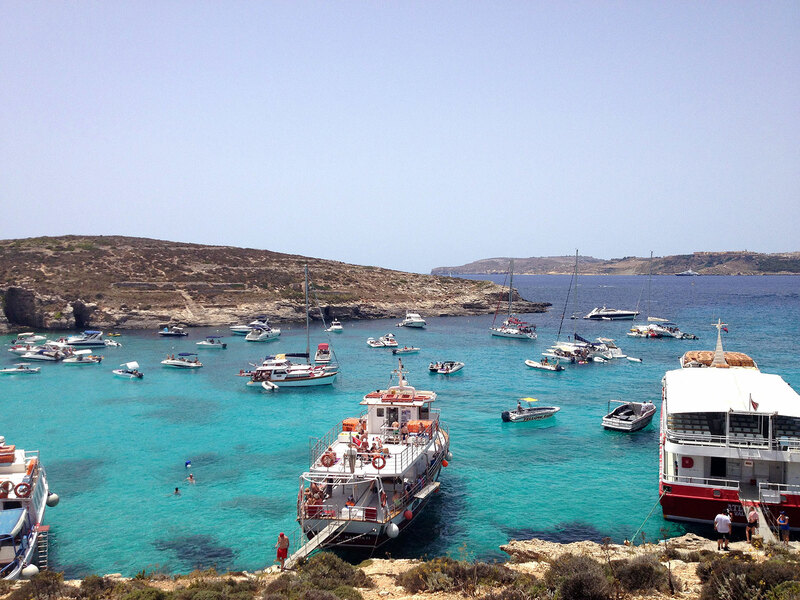 From Ċirkewwa harbour, take a quick boat trip over to the neighbouring island of Comino. 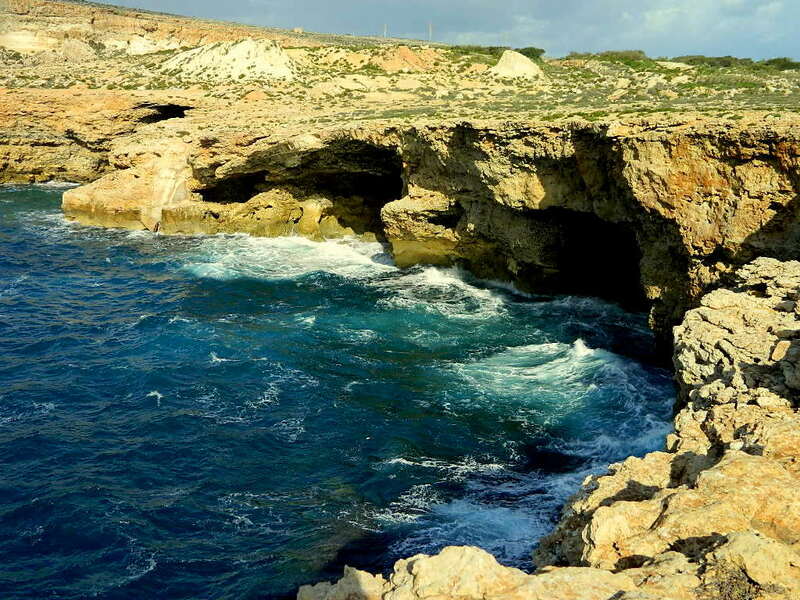 Comino is best known for Blue Lagoon, which is ideal for swimming, snorkelling, or for a picnic on the beach. The Majjistral History and Nature Park is the largest nature park (extending from Golden Bay to Popeye Village), located in the Northwest part of Malta. The Majjistral Park contains many historical and archaeological sites. The park is freely accessible to visitors. Ghadira Nature Reserve in Mellieha and Is-Simar Nature Reserve in Xemxija are the largest remaining areas of salt marsh in Malta. Xemxija Heritage Trail consists of 20 sites of archaeological importance all within walking distance from one another, taking about 90 minutes to complete. Just around the corner of Porto Azzurro Aparthotel. Buskett Gardens in Rabat built in the mid-1500’s by Grandmaster La Vallette. Great spot for tourists and locals to have a picnic or take a walk. The route map is available by clicking here, and a walking guide may also be found by clicking here. If you want some panoramic coastal views or attractive scenic and relaxing walk, then this is the place for you. 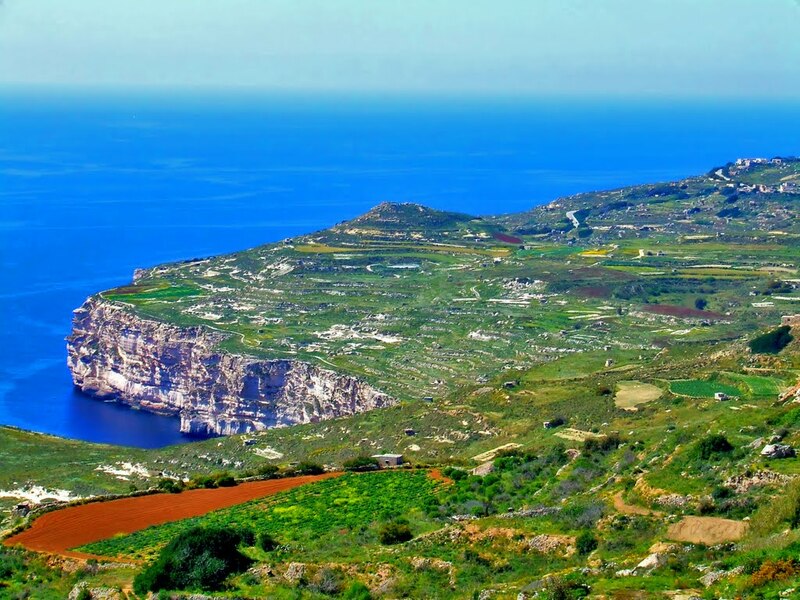 You can easily get to Dingli Cliffs if you have a car. The public bus will take you there, but it will require you to do some walking. For more information about the public transport visit: Malta Public Transport.com.mt. Who does not want to be greeted by Popeye the sailor and his friends? Originally designed in 1980 as the movie set for Robert Altman’s Popeye, starring the late Robin Williams, the Popeye Village is situated just off Mellieha Bay. This is the perfect place for families to visit while in Malta and a great place to take your kids to meet word famous cartoon characters. 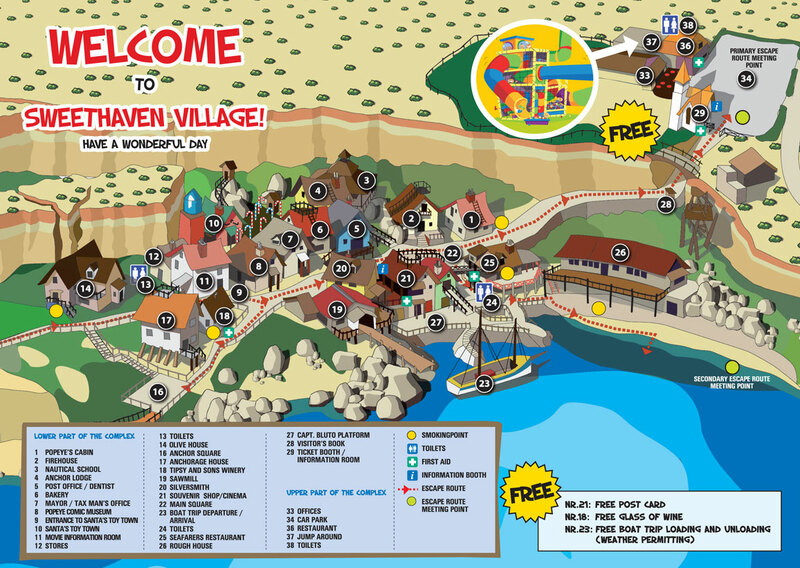 Popeye Village Malta is one of the major tourist attractions on the Maltese Islands and is open all year round. Opening Hours: Nov to Mar: 9.30 – 16.30 / Apr to Jun, Sep & Oct : 9.30 – 17.30 / Jul & Aug : 9.30- 19.00 . Transport – You can take a bus, which is the most cost-effective (less than €3 per person) way to reach Popeye Village, or, you can enjoy an express Popeye ride. Popeye express buses running to Popeye Village pick-up people directly from their hotels, and they drop visitors back to their hotels. For reservations, call on +356 2152 478234. Don’t leave just yet. While at Popeye Village, visit the Anchor Bay. There are also other beaches to consider all located in the North of the island. Most of the places are easy to reach by bus and several buses will take you even directly to the below-listed bays and beaches. Anchor Bay is the home to Popeye Village. Why not stop by and relax for a moment while visiting the Popeye Village. Mistra Bay in Xemxija – The sandy bank makes for an easy sloped entry and extends into a more pebbly area. Ghadira Mellieha Bay is located in the far North of the island, great for families. Several buses will take you straight to Mellieha Bay. Paradise Bay is located in the farthest North point of Malta, and you can see both Comino and Gozo from the beach. 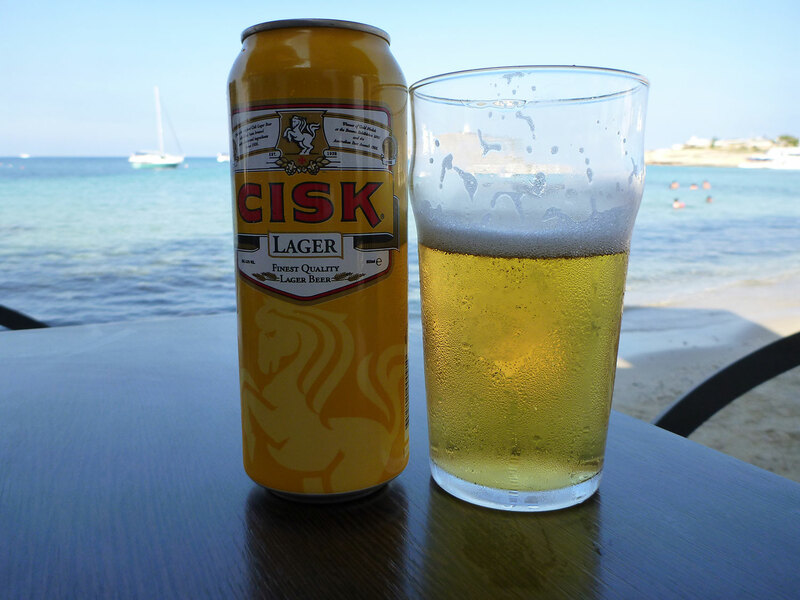 Buses are available from various locations in Malta to the Paradise Bay Beach. 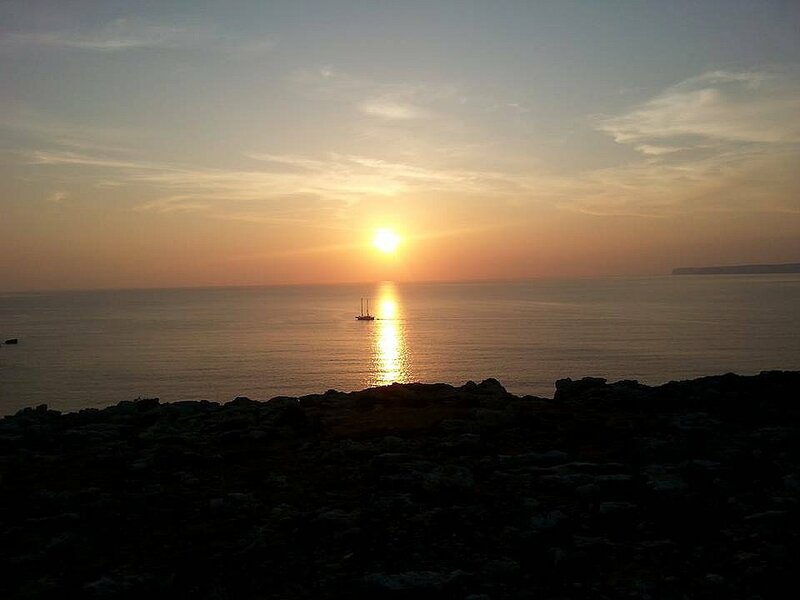 Armier and Little Armier are the two neighbouring sandy family-friendly beaches of Armier Bay, located in the Northern-most part of Malta, in a quiet and remote area. Ghajn Tuffieha Bay, sometimes called Riviera, is one of the most spectacular unspoilt beaches in Malta. This beautiful and special sandy beach is located in the North West part of Malta and it is very easy to reach by bus. 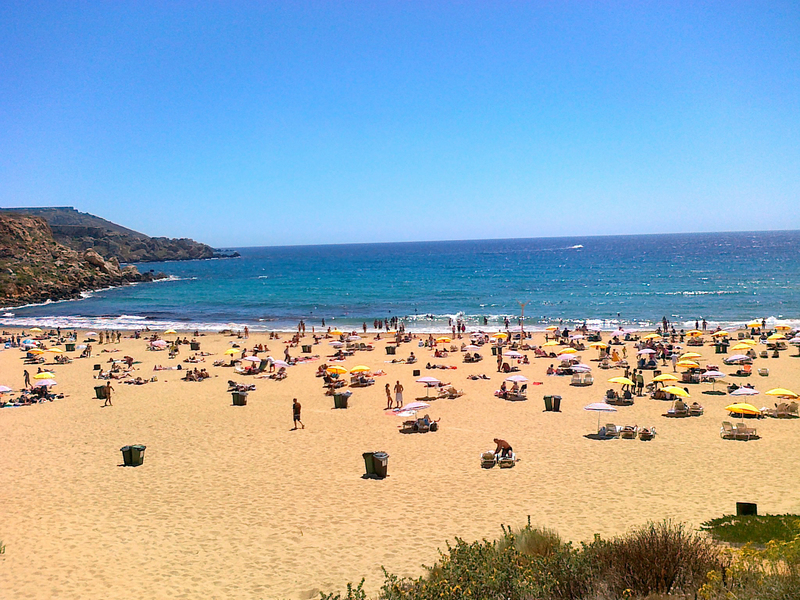 Golden Bay (image below) is a very beautiful and popular beach located along unspoilt countryside in Northwest Malta. The beach is easily accessible by car and by bus. Enjoy Horseback riding in the historic nature park located in the North East of Malta. Booking in advance is highly recommended. For more information, call on 356 2157 3360. The price for this ride is €30 per person and if book through this website they will refund your public transport ticket upon presentation of your ticket at the stables. The official website is Golden Bay Horse Riding. 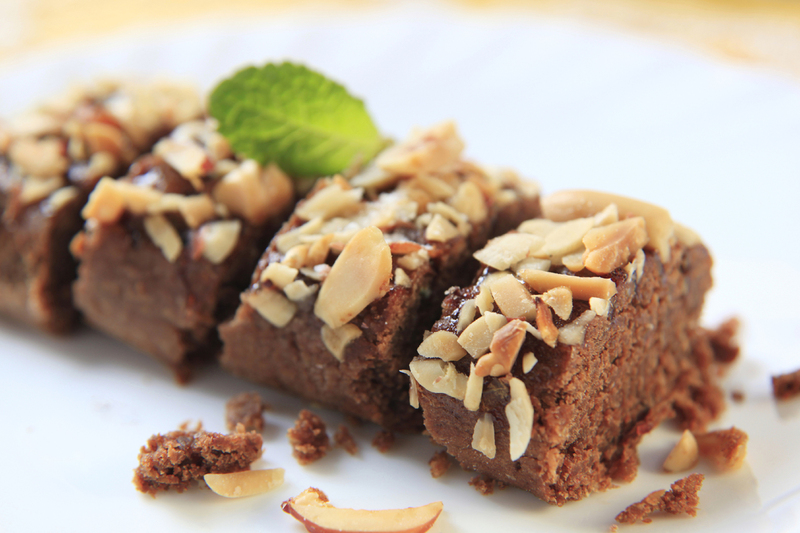 ‘Kwarezimal’ is a traditional Maltese sweet for Lent, drizzled with honey and nuts and usually prepared dairy free. Apostles bread rings (Qaghaq ta’ l-Appostli) – This bread is prepared for Maundy Thursday and Good Friday. 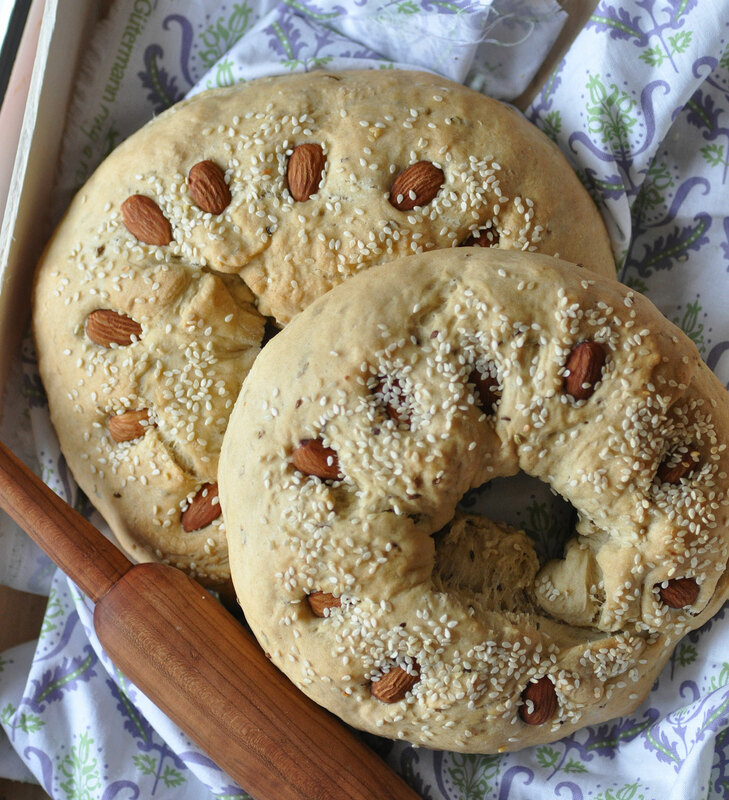 This traditional Maltese bread is a ring-shaped loaf of unleavened bread, decorated with roasted almonds and sesame seeds on the top. This bread is often sold near the churches. 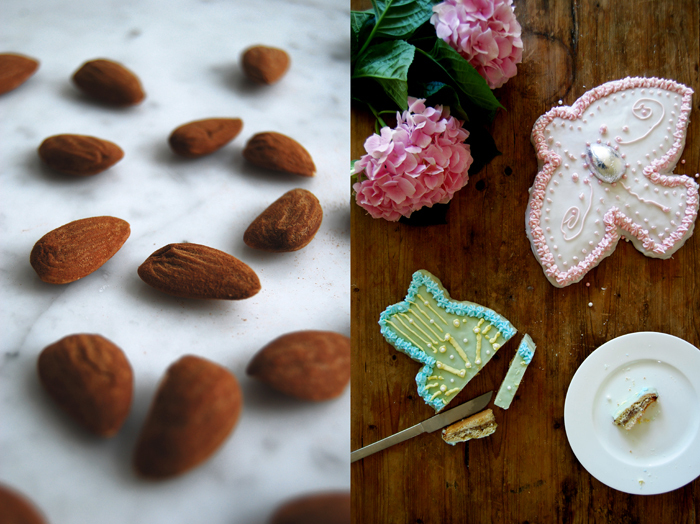 Figolli are marzipan-filled biscuits, traditionally eaten on Eastern Sunday and are the most popular traditional Easter food. Figolli are baked and given to friends and family, especially children. On Easter Sunday, children accompany the procession, carrying the figolla with them to be blessed. After dinner, a figoall is given to children. Hope to greet you soon, Happy Easter Holidays to you all from us at Porto Azzurro Aparthotel, Malta. Since you are booking directly with our hotel, we are not paying commissions, so we have more flexibility to provide you with little things such as Free Airport-Hotel Transfer on Arrival and Hotel-Airport Transfer on Departure, plus Free Harbour Cruise. 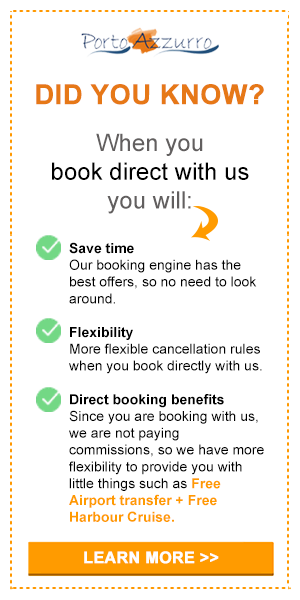 To learn more about your direct booking benefits and terms, please click here: MY DIRECT BOOKING BENEFITS. Should you have more questions in regards to your stay, special offers, or bookings, please do not hesitate to contact us directly. Tel. (+356) 21 58 5171 or Email. info@portoazzurro.com.mt. Porto Azzurro… Your 3 Star Choice!